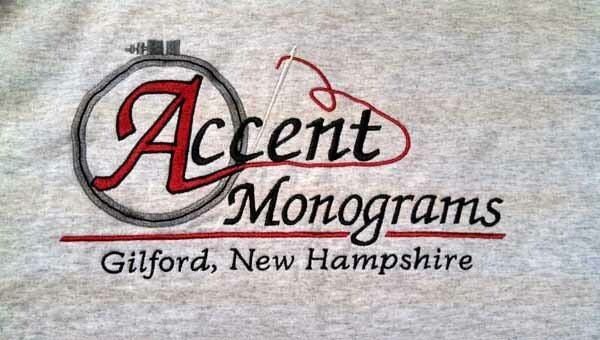 Accent Monograms, Inc. is a custom embroidery company nestled in the heart of the Lakes Region in Gilford, New Hampshire. Owners, Dave and Debi Coddington, have been providing quality, custom embroidery services to local businesses, clubs, and families since 1990. We work out of our home and are open by appointment. We are here to provide the highest level of customer satisfaction on all orders and jobs. We want your next embroidery job to be with us, so give us a call or send us email and see what we can do for you!